How Do Turtles Mate and Reproduce? Turtles reproduce differently depending on the species as the sexual maturity age varies; however, all turtles fertilize the female internally. 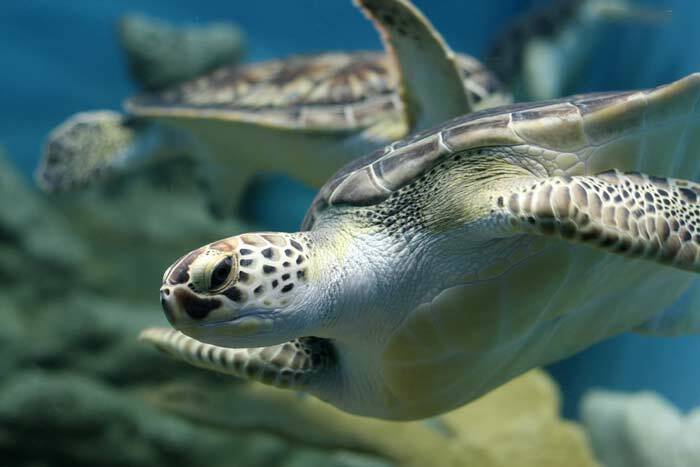 For the sea turtle, the male turtle begins the courtship and may have competition from other male sea turtles. This behavior begins several weeks before copulation. For sea turtles, this copulation will occur inside of the water and the male will use his large claws on its flippers to hold the female during copulation. Sea turtles lay eggs on the beach once they have been fertilized. All turtles lay eggs. Once the eggs hatch, the young hatchlings must make their way to the ocean before predators come along. For turtles of all species, this is the most dangerous time as many hatchlings end up as prey for predators without fully hardened shells.